To create and publish your first BackBlast, login to the admin section of the site using the “Login” link just above this one under “PAX RESOURCES” in the main menu. Once you’re logged in, a black menu will appear at the top of the page. 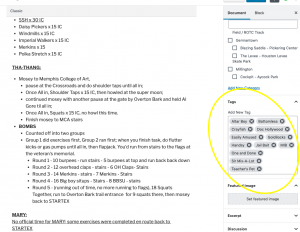 Move your mouse over the “F3 Memphis” item in that black menu bar, and select “Dashboard” (the first item in the list). From there, click on the “Posts” menu (should be the second item down), then click on “ADD NEW”. It’s a pretty standard text editor from there, with formatting tools that you would expect. I’ve already entered some basic content as a template. You’ll simply have to fill in the details! NOTE: Toward the top of the edit post page, attached to the top-right corner of the main content box, there are two tabs. Those allow you to switch between “Visual” and “Text” modes. Visual is the easier editor to use, with the same formatting tools as most text editors. Text mode is better suited to those who would prefer to write their own code, or publish a plain text BackBlast, with no formatting. You can use the “Text” mode to clean up spacing or other stuff that the Visual editor tends to want to control. We use “Categories” for our AOs (Areas of Operation) and we have a unique “Tag” for each PAX member. For categories, please select “backblast”, “weekday” or “Saturday”, the part of town, and the AO location. For example, a Friday workout at the Barracks should be tagged with: Backblast, East Memphis, The Barracks, and Weekday. Be sure to tag yourself (when QIC) and each of the PAX so that we/they know that they’ve posted! This helps you find all the workouts you attended…and helps us see who’s attending, how often and keep track of who is winning! (just kidding). Create tags for FNGs by simply typing their F3 name in the tag box and clicking ADD. This will save the tag for future use. 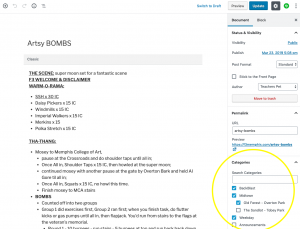 Publishing your BackBlast to the site is easy! Just insert your content, select the appropriate AO categories, tag the PAX in attendance, then press “Publish” to make it live on the site. There’s a “Draft” setting that allows you to save your work without publishing it to the live site (handy if you don’t complete everything in one sitting). There’s also a “Preview” button that will allow you to see what it looks like before you make it live. 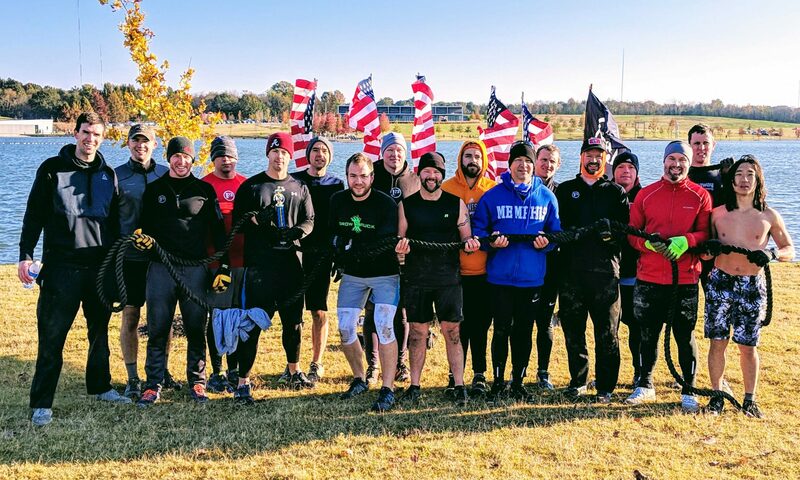 If you get stuck, just shoot us a DM on SLACK or send us an email at f3memphis[at]gmail [dot] com!